Carretones for training There are 2 products. 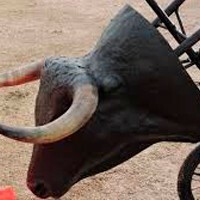 The carretones for training are used for learning and training of the lances, distances, figures and sensations. 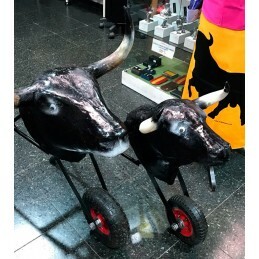 They are perfect for Bullfighting schools and also for individuals interested in the art of bullfighting. 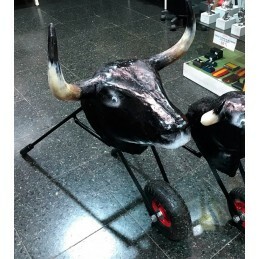 Children's iron cart with fiberglass head and plastic horns. For children from 4 to 7 years old approx. Armed measurement: height 60 cm high x 110 cm long x 50 cm width of guides. We confirm the price of the carriage when placing the order, because it depends on the destination.